In God’s Problem: How the Bible Fails to Answer Our Most Important Questions—Why We Suffer (Harper One: New York, 2008), Bart D. Ehrman examines the various explanations for suffering presented in the text of the Christian Bible. Ehrman, a New Testament Textual Scholar and James A. Gray Distinguished Professor of Religious Studies at the University of North Carolina, Chapel Hill, has written a number of books concerning the text of the Christian Bible, and here presents an exegetical treatment of a contemporary question for the general public. God’s Problem is a New York Times Best Seller, indicating Ehrman’s popularity and the ever-increasing interest that the general public has in answers for life’s questions. In this book, Ehrman gives consideration to various Biblical perspectives and presents the positions in sections dealing with the Classical view of suffering, the Consequential view of suffering, the answer of Redemptive suffering, the Question of Questionable and Meaningless suffering, and the Apocalyptic view of suffering. This review will examine Ehrman’s general perspective on these various positions and additionally his position as presented as the book as a whole. Ehrman opens with an explanation of the purposes of his book and provides for the reader his background, explaining how he is currently an agnostic former Christian. The purpose of the book is to answer the all-consuming question concerning suffering in the world today: “If there is an all-powerful and loving God in this world, why is there so much excruciating pain and unspeakable suffering?” Ehrman goes on to explain that it was this question that caused him to lose his faith in the God of the Judeo-Christian tradition. Interestingly, Ehrman does not consider in this book what most scholars consider when dealing with similar topics, namely the problem of evil. Ehrman stays away from philosophical questions and constructs, instead dealing with the palpable question of suffering—the evil that touches real people in real places around the world. Ehrman later states his purpose in writing is to help people think about suffering using the Biblical text that many run to in the midst of their suffering. Ehrman begins his analysis of the Biblical answers to the problem of suffering with the ‘Classical’ View—the “Sinners in the Hands of an Angry God” ideology. Ehrman sums up this view as stating that suffering results from a persons actions and sinfulness and that suffering is the result of divine judgment upon man for his sins. He introduces this chapter with what is commonly viewed as the event that must be considered in an explanation of suffering—the Jewish holocaust at the hands of Nazi Germany during the Second World War. Ehrman proceeds to describe the ‘Classical’ view as the “Prophetic” view presented in the Writing Prophets of the Biblical canon, citing such prophets as Amos of Tekoa, Hosea Son of Beeri, and Isaiah Son of Amoz. Ehrman’s critique of this view is that one cannot universalize the claims of the Biblical prophets in our own age, and that it creates a false sense of security. Ehrman argues that we cannot think that if we’re not suffering it follows that we must be doing all-right before God. Ehrman addresses the ‘Classical’ view as presented in the Pentateuch and Historical books of the Christian Old Testament in the next chapter, again raising questions of whether or not his view could be contextualized in today’s world. Do we really want to see every act of suffering as divine judgment he asks? Or what of those who don’t know about the laws or commands of God? These are Ehrman’s questions. Later Ehrman digresses into a section on the Jewish expectations of the Messiah and the role of the ‘Classical’ view of suffering in the New Testament, treating the issue almost eclectically and failing to provide a coherent direction for the chapter until his tentative conclusion concerning the role and veracity of the ‘Classical’ view of suffering. This was perhaps one of the least satisfying aspects of the book, as Ehrman gave little treatment to the New Testament text outside of the apocalyptic view, a great assumption on his behalf concerning the view of suffering presented by Jesus and his Apostles. Overall, Ehrman fails to address the issue of justice in these chapters, leaving a holistic view of the ‘Classical’ view stunted. Ehrman focuses on the negative aspects of the view without truly considering the positive aspects of the view in a manner that reflects the greater Biblical metanarrative from which he pulls the texts from which he bases this view. Ehrman next turns to the idea that suffering is the result of sin, primarily our own, and that our sinfulness results in events of suffering in our lives. This view of suffering because of a ‘general principle of sin’ is admittedly very similar to the ‘Classical’ view. He begins this chapter with a touching story of a friend from Cambodia, an example of suffering that really pulls at the heart-strings of the reader. Ehrman writes that in this view, suffering can come not only from God, but also from others. In an attempt to explain this from the Biblical narrative, he writes concerning several instances of suffering and death in the historical books of the Old and New Testaments, though this section seemed to lack clarity in the development of the argument. Ehrman concludes the section with the statement that “Of course people suffer because other people behave badly toward them. Where’s the revelation in that?” Even in this statement, however, Ehrman takes a critical approach toward God—we know that people hurt other people; but why can’t God prevent that? If this is Ehrman’s chapter concerning the popular “Free Will Defense” that often accompanies Christian exposes on the problems of evil and suffering, then the critical audience finds it sorely lacking. Ehrman presents this view as an extension of the ‘Classical’ view, but fails to coherently develop the argument in favor of this view, choosing instead to demolish the perspective before many would argue it has been properly constructed. The next chapter begins again with a personal account of Ehrman’s life, a technique that serves him well for the general purposes of the book. In writing personally, Ehrman does a fine job disarming the reader and making them willing to listen to his interpretations of the Biblical texts with concern for the question of suffering. However, Ehrman is digging himself into the fallacy of appealing to emotion. His portrayal of events will certainly play the emotions of the wider audience that he is writing for. However, his reliance on emotion gives the perception that his book is very personal, perhaps too personal. 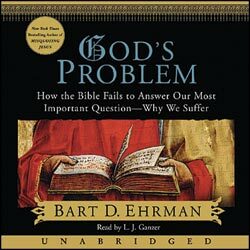 It might be argued that the book should be re-titled “Bart’s Problem: How Ehrman Fails to Interpret the Bible’s Explanation to the Problem of Suffering”. His appeals to emotion certainly do not exclude his arguments from consideration—however, the manner of scholarship in which Ehrman has chosen to write this book creates a quandary for scholars concerning which perspective to consider. Ehrman is prone to exaggeration and overstatement, a tactic that may work well in convincing the generally uninformed public concerning his claims, but failing miserably to convince an informed scholarly audience of his views. 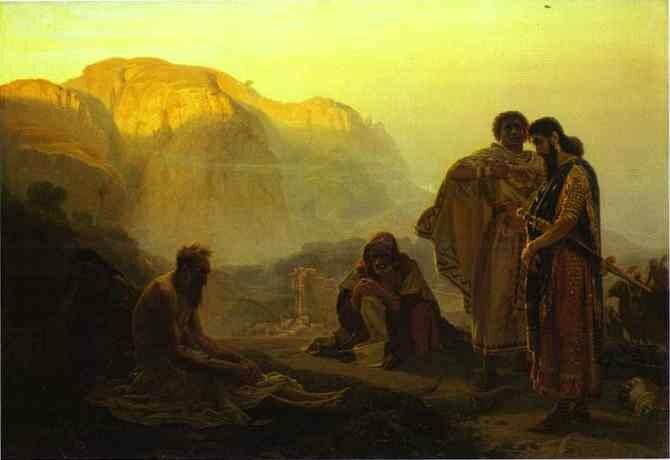 In considering the idea of Redemptive Suffering, Ehrman writes about the Biblical narratives of Joseph, Lazarus, and David’s first son by Bathsheba, before turning to the ultimate example of Redemptive suffering in the Christian Bible—that of Jesus on the cross. In discussing the portrayal of Christ’s suffering as redemptive, Ehrman often adds his own commentary on peripheral or unrelated issues concerning the Gospels or Paul, a trait that readers of Ehrman will be familiar with from his other works. 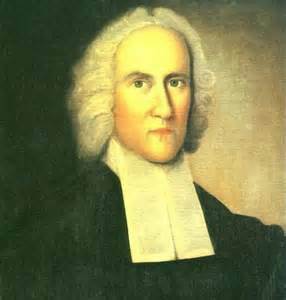 He concludes in the end that while suffering can sometimes yield redemptive qualities, it seems shortsighted to think that all suffering is redemptive in function. Ehrman next considers two Wisdom texts of the Old Testament: Job and Ecclesiastes. In his analysis of Job, Ehrman concludes that God offers no answer for the reason Job suffers. Within scholarship on Job, this interpretation would undoubtedly be questioned; however, Ehrman’s argument and interpretation is well done and he presents a coherent picture of the account of Job’s suffering. His interpretation is indeed one that has scholastic backing. In considering Ecclesiastes, Ehrman concedes that this has long been one of his favorite books of the Biblical text, seemingly due to its ‘realness’ and how the insights seem to come from a human perspective instead of the divine. Ehrman seems to identify especially with the idea of hevel, translated ‘vanity’ in most contemporary translations. In this view, sometimes life defies explanation and if that’s the case, why would we expect suffering to make more sense than the rest of life? Ehrman argues that we shouldn’t—life involves suffering and there’s nothing that we can do about it. That’s just the way that things are in world, regardless of God’s interactions or not. 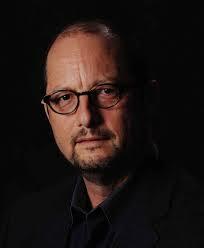 The final perspective that Ehrman presents is the ‘Apocalyptic’ view of suffering. In this view, for writers like those of the books of Daniel and Revelation, though the people have done what God wants, they are still suffering. However, the message of the Apocalypse is that God will soon intervene, punish those who cause evil and suffering and reward the righteous for their faithfulness. This view requires an accurate understanding of the apocalyptic genre and message, that of coming judgment on the evildoers in the world. In this section Ehrman argues that Jesus himself preached an apocalyptic message of judgment and that he fundamentally subscribed to this message. This view also presents perhaps the most satisfying explanation for natural disasters, since cosmic forces of evil are battling against God before final judgment and the restoration of the people. If evil forces are in control of the world, then one would expect them to cause suffering and natural disasters to harm God’s people across the world. 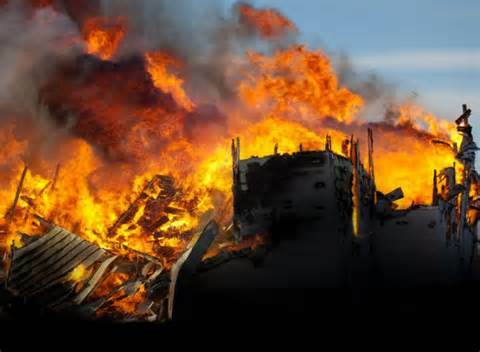 The important period of time in the apocalyptic view is the ‘end of the age’ when God will make all things new and redeem the world from the forces of evil. For Ehrman this view should have positive implications for the world, in that people can have later hope for relief of suffering. But he also criticizes the view for its potential for complacency concerning knowledge of the future. His biggest critique is that the narratives present this relief from suffering as immanent and in Ehrman’s interpretation of judgment and relief that simply hasn’t occurred yet. In his conclusion, Ehrman raises some worthy questions, such as whether or not we need a coherent explanation or if a simple understanding of suffering may be the best and most practical in the world. Ehrman concludes that the Bible fails to address our question of why we suffer adequately. But for him this doesn’t mean that we should fail to consider the suffering around us. We must fight against suffering, push for justice, and help those in the world who suffer. Life entails suffering, but we must not let suffering destroy us, physically or mentally. In concluding this way, Ehrman hopes to draw out the what can be positive in this exercise—even when we can’t believe the Biblical narrative and explanations, we can still reject what we see as wrong in the world. In this Ehrman should be commended for not simply chalking suffering up to his favorite explanation—meaninglessness. In calling for a meaningful understanding and reaction to suffering, Ehrman offers a positive and active response to the question at hand. In summary, Ehrman presents several interpretations and discussions of what the Biblical text says concerning the question of suffering. The account is highly personal but deals with many of the questions that people have concerning the relation of the Biblical text to the question of suffering. A critical reader could easily argue that Ehrman is dealing with abstractions of the Biblical text without considering the overall picture of the Bible and that the Bible needs to be read holistically for a complete picture of the proper view of suffering. The critic could further argue that Ehrman misses the point of the Biblical view of suffering in that he devoted little to no time to the fact that within the Christian tradition, God suffers with those who are suffering—Ehrman misses the true theology of the cross and the hope that view presents for the Christian. However, for the general public Ehrman provides a scholarly voice to add to the discussion of the question of suffering. He presents a variety of interpretations in a generally satisfactory manner and espouses views that must be considered when discussing the question of suffering in the modern context, and for that he is to be commended. Ehrman, Bart. God’s Problem: How the Bible Fails to Answer Our Most Important Question—Why We Suffer. Harper One: New York, 2008. 1. It must be noted that nowhere in the Bible are the various views of suffering explicitly expressed, meaning that these perspectives presented by Ehrman are at the very least abstractions from Biblical narrative and are highly interpretative. Ehrman has taken to writing in a style exuding authority and certainty in his works intended for popular consumption—a style behooving a novel, but falling short of proper protocol for scholarship. An interesting confession for a New Testament Greek scholar to be sure. To add a bit of irony concerning Ehrman, this writer might insert “spiritually” as well. This review was originally written for an undergraduate class at Valparaiso University in 2011.